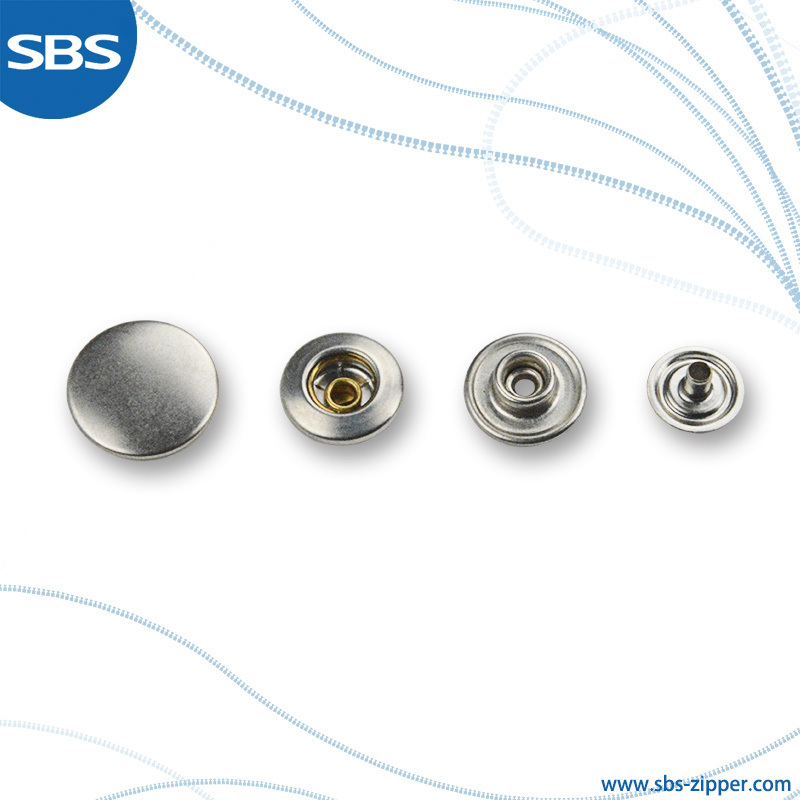 New 406# is a kind of snap button. It is combined by an round spring and divided into four parts from the top down including cap, socket, stud and post. The female side part is composed of cap and socket. The middle of socket is a hole with a round spring ring. The male side part is composed of stud and post. The middle of stud is a convex dot with a hole. The dot will be clamped tightly by the round spring ring when pressed into the hole of socket, producing a combined force to fix clothing. The post can be covered with a cap carved with patterns and words.